This is a post that is a bit different than those I have written previously. This information came to me via a download that seemed to suggest the true possibilities of responsibly executing a full disclosure data dump to the population of the planet. The text reads somewhat like a theoretical scientific proposal as I found the content needed a different mode of communication than usual. Hopefully, this proposal will serve as the beginning of a viable plan for decisive actions toward Full Disclosure. I plan to add and expound upon these concepts in the future and will invite numerous people from the alternative media and the professional world to give input on this project. So keep an eye out for future developments on these concepts. There is a frequency of vibration at which everything in our universe resonates. Relatively, there is also a frequency range at which every system in the universe is able to absorb energy. Every natural system—on and off planet—has its specific range of frequency at which higher energy can be absorbed into it. Every conscious system within the universe evolves. Every organism—be it a plant, animal, or even a collective ecosystem—every conscious organism and system evolves in some way to higher levels of development and complexity. In fact, it may be the absorption of energy which causes this consciousness within beings and groups to increase. If energy or information is transferred into any natural system, the capacity of absorption of that system must be taken into account. This care is taken so that the system does not overload when the energetic flow into the system is increased. The energy infused into a conscious being or system must be increased at a certain rate. Within living systems, there are various fail-safes which provide protection for the organism from injury from excessive energy/information. Humans, for example, have certain psychological defense mechanisms which can act to shield our minds from potentially disturbing information. Though not all of these mechanisms are particularly healthy, it gives an accurate example of protection of one's relative psychological balance. Both the rate and frequency of energetic input must be respected in order to avoid overloading the system in question. 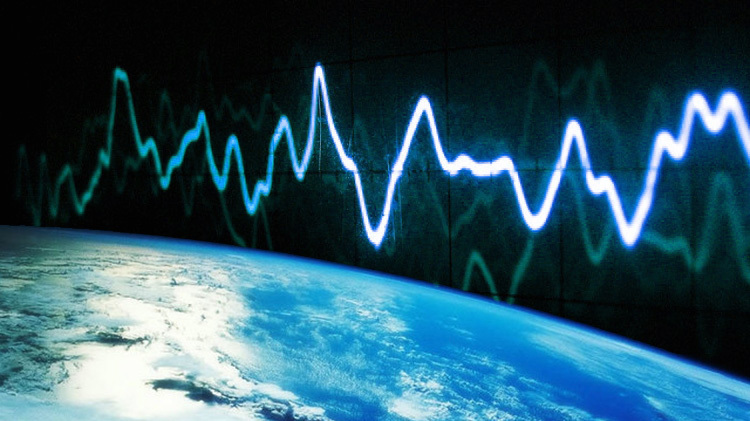 It is this frequency which must be considered when we discuss the massive amount of information to be introduced to the collective human consciousness of Earth when the Full Disclosure data dumps take place. There is a frequency at which the information of Full Disclosure must be presented to the world. This complete disclosure of all information previously hidden from the general public could be considered the largest release of information the world has ever experienced. This infusion must be executed with extreme care, accuracy, and attention to natural necessity and functionality of human consciousness. The means by which this infusion takes place must be harmonized with the natural cycles of human mood—mental, emotional, physical, and energetic states. The entirety of the population and their collective consciousness must be taken into account in order for the successful introduction of the full data dump series to be safely accepted. The natural cycles of mood-change among the population must be investigated. From joy to anger to sadness—these varying extremes both on an individual and a collective scale, and the natural progress from one extreme to the other, must be considered in order for Full Disclosure to be accurately and safely absorbed. These natural emotional changes must be considered along with the typical progression of the natural human grieving process. When these natural changes are taken into account, they may be respected so that each data dump can be catered to the collective progress through these states of emotional change. Along with these emotional changes, the biospherical, solar systemic, and galactic cycles which influence the Earth must be taken into account. Changing of seasons and temperatures, the state of the Sun, the Schumann Resonance, and the overall global condition must be assessed so as to determine the greatest possible means to distribute information. Along with these, the artificial emotional and mental manipulation being forced upon the world's population must cease. This includes overly excessive microwave transmissions as well as the various high output weather modification systems distributed over the planet's surface. Unless this system of mind control and its various effects on human consciousness can be accurately predicted, it must be shut off for disclosure to take place successfully and with minimal negative repercussions. Only when the emotional, mental, physical, and energetic states of human population can be predictable with relative accuracy can the optimal frequency of informational distribution be executed. As long as the condition or the collective mood of the population can be observed, the safe and accurate amount of information can be introduced into population at steadily increasing intervals. Depending upon the level of acceptance the global population exhibits, further and possibly more intense disclosures can be introduced. The nature of these data dumps must be accurately catered to the assessed psychological state of Earth humanity in the moment. As the information within these data dumps produces various reactions within the collective world population, the information may produce sentiments of anger, depression, sadness and the various other stages of grief. However, this must be mitigated so that these negative emotions do not dominate the overall reaction of the people. This can be accomplished by composing each dump to include both information that is considered difficult to accept and that which is more easily accepted. The potential intensity of emotion reaction must be taken into account. For example, the ideal course of action might be to initiate a data dump during a time of moderate emotional intensity for the global population. Under these collective emotional conditions, the initial disclosures may consist of information which is seen as moderately distasteful or disturbing. During a time of global disarray or difficulty, topics of disclosure might be introduced which are largely pleasant and beneficial for the population. These might consist of cures for diseases, clean alternative energy, and futuristic technology which would make life much easier for many. Similarly, it may be wise to impart the most disturbing information to the global population during times of greatest contentment and happiness on a global scale. These types of disclosures might be considered the most disturbing out of the entirety. However, this information would also be complemented by various positive aspects of the more disturbing information. The overall goal of each of the disclosures would be to introduce new information on a positive note and to conclude every message on an overall positive outlook. There should always be communicated with honesty and forthrightness for any message given. At the same time, the consistency of each message should be composed to invoke as little shock as possible. The functionality of human psychology, the natural biopsherical rhythms, and globally influential phenomena such as the Schuman resonance were meant to function in unison and in harmony with one another. The reason that the collective psychology of humanity is so fragile at present may be because it is largely separated from nature and from its natural energetic state. When these three systems are released from artificial control and allowed to function in their natural harmony, the collective psychological state of humanity will return to homeostasis. The reason the collective psychological state is seemingly dysfunctional now is because it is disconnected from the natural systems with which it was originally intended to be united. After this psychological balance point is reach, the collective human consciousness may be more resilient and better able to handle the subject of full disclosure with fewer detrimental results. It may be that the results of these various procedures of disclosure are only needed for those who are still unaware that the establishment has misled them. These individuals may even be presented with the truth and initially deny its validity. In such cases, it may actually be beneficial for some members of the population to postpone their process of realization. This might allow the rest of the people to endure the shock of the truth while others continue in their original mental state. When the first wave of acceptors of truth have largely completed their process of assimilation of knowledge, those who were originally obtuse and selectively ignorant might begin to wake up to the reality of the disclosures. In fact, latecomers to the topics of disclosure may be able to process the information much faster than the first wave. Those who are most open to the alternative information outside the mainstream narrative may not need such a delicate hand in the disclosure process. In fact, there may come a time when these individuals demand to forgo the formalities and to have the entirety of information given to them at once. Though the experience may be the most shocking out of the whole experience of Full Disclosure, the shock will be distributed to those who are best prepared to receive the information and endure the difficulty. The various level of openness of mind among the various portions of the global population may serve to safely distribute the numerous types of information included within the Full Disclosure data dumps. This seems to be one of many naturally occurring conditions of the collective human psychology, and though the closed-mindedness of some may seem detrimental at present, it may allow greater success and ease in the process of full disclosure. Overall, it should be noted that the relationship between information distribution and the general acceptance of that information, along with the reactions to this information by the general population, may largely be determined by the Mandelbrot set. This requires further research. When considering the impact of full disclosure data dumps, we must take into account the natural resonant frequency of human consciousness as well as humanity's natural rhythms of mood-change. As we may know, the resonant frequency of an object is a large factor of the amount of energy it can transfer and absorb. It may even be that certain frequencies of energetic input are the actual cause of evolution itself. Any organism will experience various stresses during its life cycle. These stresses can cause any number of results, but if they are consistent and of great enough intensity—such as an extreme lack of sustenance or the threat of a predator—certain adaptations can occur so that the organism can sustain its life and continue the species with more appropriate attributes for successful living. This concept of micro-evolution or the ability of an organism to adapt to changing conditions in the natural environment (usually within as little as one generation) could be compared to the physical example of resonance. Simply put, the resonant frequency of an object is the vibratory frequency to which the object is most responsive. If an object is exposed to its own resonant frequency, the object will begin to vibrate at that frequency even when there is distance between the object and the source of the frequency. If an object is influenced by its own resonant frequency, it will maintain that constant frequency for a time even after the source of the frequency is taken away completely. If this frequency is increased to a great enough intensity, the object will become unstable, and eventually fail or break due to its limits of vibratory amplitude. The most well-known and most regularly-used example of this concept of resonant frequency is the Tacoma Narrows Bridge—a bridge completed in July of 1940 and collapsed in November of that same year. This was a suspension bridge which extended across the Tacoma Narrows strait in the state of Washington. The bridge was thought to be well-built until one day when the wind blew more consistently and with more intensity than usual. It was found that the structure of the bridge and the wind had the exact same resonant frequency, and because the wind was so strong, (or the amplitude of the frequency was too high) the bridge basically shook itself to pieces. If not for nature's ability to adapt and change according to needs, species would go extinct much faster than they do on Earth. Fortunately, nature has a way of altering for the sake of continuity of species. Let's consider the Tacoma Narrows situation. If we were to hypothetically save this bridge from collapse, how might we do it? In reality, it is not that difficult to change the resonant frequency of an object, granted we have the resources to do it. If we could somehow change the dimensions of the bridge by making it longer or short, or if we could avoid building it as a suspension bridge and instead, making it extension bridge, this might alleviate the situation. In short, any significant physical change to an object will change its resonant frequency. When we apply this concept to nature, we might have a rodent, for instance. Let's say this rodent is an herbivore and has frequently gone hunger due to a drought. This rodent may die off if no food is found. So according to the concept of micro-evolution, this rodent could either go hungry, or it could grow a long sticky tongue and nourish itself by consuming the ants on the nearby anthills. It could be said that the rodent's natural cycle or frequency of missing meals caused the rodent to alter its diet and anatomy so that it would survive. In this example, nature used the rodent's natural cycle of food consumption to cause adequate stress, which in turn, caused it to adapt and become more prosperous. This is an example the potential of humanity with the utilization of natural cycles to cause a frequency of adequate stress within the population, and to bring full disclosure to reality. One other important point to note is that in all of the above details lies the possibility that all of these processes of accurate and safe assimilation of disclosure-related information will happen automatically. As artificial influences upon humanity are diminished and the planet is returned to homeostasis, the present conditions relative to emotional balance and homeostatic and psychological equilibrium may self-correct. The Tacoma Narrows Bridge is in Washington State.